We are all heading to the future of the retail with the release of Magento 2.3. And you’re so close to a complete transformation of your online-to-offline business with Magento 2.3. The only question is “Are you ready for it yet?” ’cause it’s right here and right now. Read on to find out. We all heard about Magento 2.3. And eager to try the Multisource Inventory (MSI) feature. Before the launch of Magento 2.3, Magento manages a single inventory system. Hence, it’s really hard to manage multi-channel inventories from a single website. But with MSI, you can easily manage inventory by each channel and by warehouse too. That’s good news for ecommerce businesses. How about online-to-offline businesses? Well, we have another good news. A robust POS is here, specialized for Magento 2.3. If you are a small Magento business, considering Magento 2.3 and looking for a POS for your brick-and-mortar store. Then yes, this is the great news for YOU! What you dream about running your own business? Getting lots of sales? Being your own boss? Working on your own terms? People may say you’re crazy. But we know you’re not. Because with Magestore POS and Magento 2.3 – the revolutionary combo for Magento retailers – you will have it all. Which store owner doesn’t want to fill their shop with customers? But a crowded store sometimes is a nightmare when customers get stuck in a long waiting line. 5 minutes of waiting is enough for them to get impatient. It’s such a frustrating experience for both your customers and cashiers. 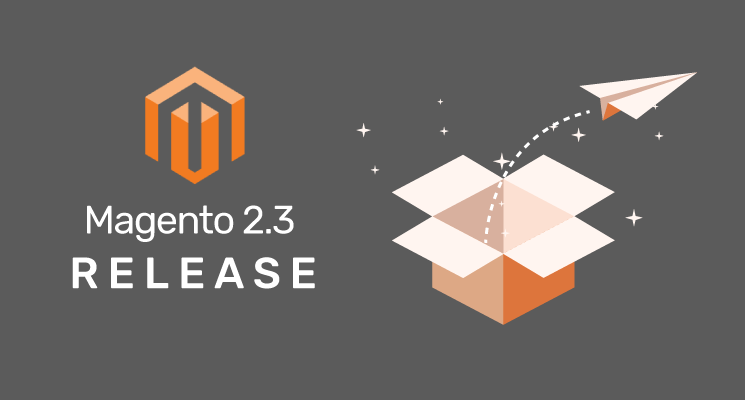 Why not kill it forever with the fast & stable performance of our POS for Magento 2.3? Built with modern PWA technology, Magestore POS for Magento 2.3 can handle up to 100,000SKUs and 100,000customers in seconds. So no one has to wait. Together with the exceptionally high speed of Magento 2.3, you’ll give customers seamless shopping experience. No matter where they shop, online or in-store, it’s smooth & fast. We all want shoppers to spend their money in our shop. So, creating a tempting place for shoppers to open their wallet is important. Make it easy for them to pay you. Either cash, credit card or more. Even when they don’t bring enough cash, they can split their order into different payments. Or, pay some at the time and pay the rest of the due amount later. You can also hold the cart of hesitating customers so the next doesn’t have to wait at all. When the hesitating customers have made up their minds, you can continue checkout for them without any interruptions. How about a product running out-of-stock as so many customers are buying from your popular store? You may have to turn your customers down before by saying “Sorry!”. But NOT with Magestore POS for Magento 2.3! Customers can continue buying out-of-stock products to their heart’s content by placing backorders, either on your website or at your POS. And you can fulfill their orders as soon as stocks arrive – just from one Magento backend. Neatly organized. No mess. Perfect for a smooth shopping that shoppers cannot resist. More info: Shoppers love discounts (well, who doesn’t?). With Magestore POS, it’s easy to set a custom discount & custom item price (price override). Make your loyal customers feel like a king/queen with their own discount code & they will forever stick with you! You may have heard of “omnichannel”. Is it just a myth? Well, at least not anymore! Now both you and your beloved customers will have the chance to experience “omnichannel”. Cross those off your headache list! Magestore POS & Magento 2.3 handle them all. Even better, you can control everything right in Magento backend. Secure and neat. No data leaks or loss. Omnichannel is a win-win for all! A POSitive environment that everyone loves. 100% stress-free. Which do you prefer? A stressful workplace when everyone’s rushing and frustrating? Or a calm place filled with smiles? When happy employees make happy customers, you may want to make it easy for your staff too. Magestore POS for Magento 2.3 has friendly UI/UX. Your cashier will fall in love with it in no time, even when they’ve never used a POS before. Our POS is also optimized with a calm blue color so staff won’t get tired looking at the POS screen all day. At the end of each session, you can export a Z report which reflects the cash-in/out during a working shift. This reduces the time you spent on checking cash at day end. So you and your staff have more relax time before the next workday begins. More info: When a new staff joins your team, he/she won’t feel lost. You can create an extra account (100% FREE) for her/him to start working right away. And it’s free even when you have 10 or 100 new members OR new devices. Just with 01 POS license. Magento 2.3 has been predicted as a revolutionary change for Magento retailers. Combining with the purpose-built POS of Magestore, this will be the perfect combo to boost the business of all online-to-offline businesses using Magento. The first version of Magestore POS for Magento 2.3 is best for online-to-offline retail businesses with 01 website, 01 brick-and-mortar store & 01 inventory source. Specifically, small businesses who are using default Source & default Stock of Magento 2.3. It’s perfect if you have one inventory source. The multi-source update will come out soon. Running an online-to-offline business is expensive. But you’ll see your return on investment from the first time you use Magestore POS. PS: Just way too proud to not to share. So I’ll take you just 1 more minute. A pet retailer in Canada, owner of Mr. Pet’s, has experienced our Magestore POS. And he loves it!